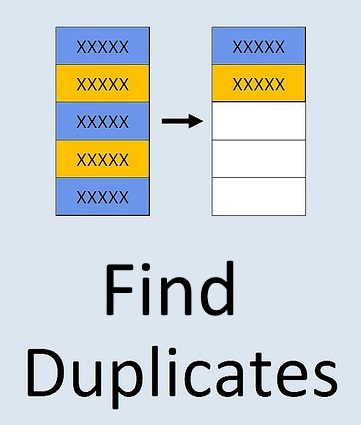 Excel: Find Duplicates.. Do Not Remove Them! 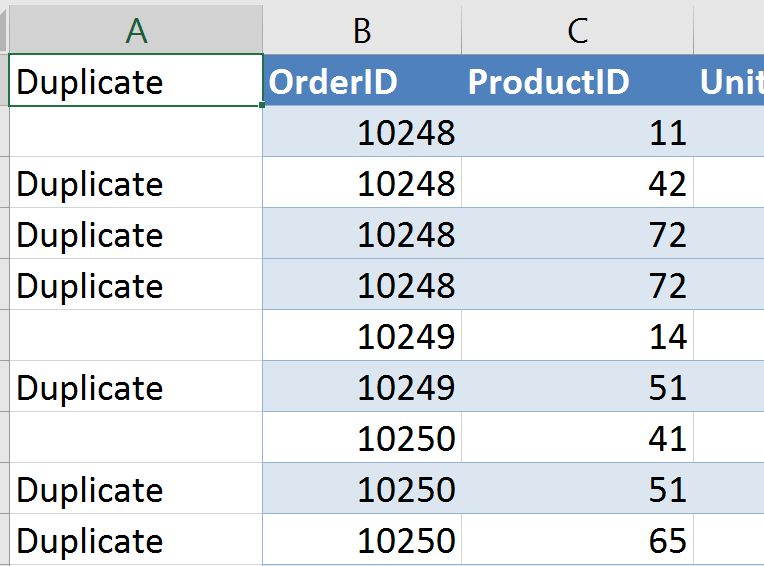 One of the finer tasks in Excel is working with lists. When working with lists, one of the most common questions is “are there any duplicates”. Now most people know that there is a button at their disposal the famous “Remove Duplicates”. This is great but it just removes them. How about if you want to inspect the data before it is removed? There are various ways to find duplicates in your lists. 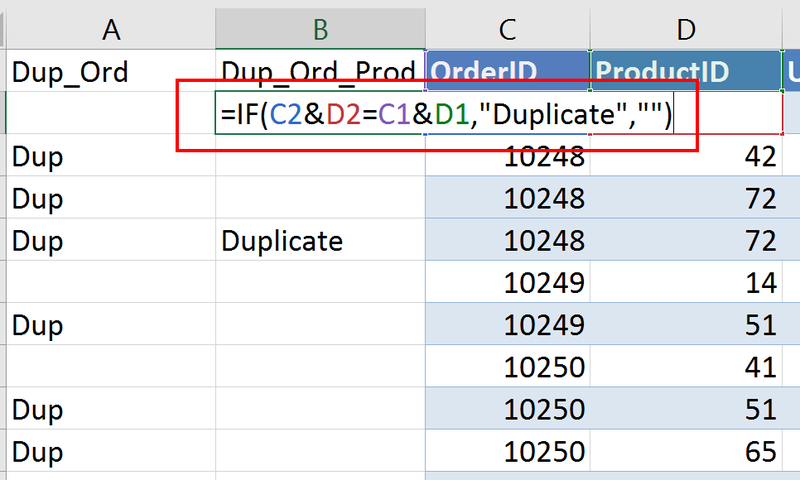 Conditional formatting offers a great way to highlight duplicate values in your list. Personally I have been using a simple function to check for duplicates. It gives me control of what I can do when it finds duplicates and how to handle them. Let me show you what I mean. To give you an idea how to follow the steps I use some sample data from the old Northwind database. Just a couple of rows with data which I have enhanced with some duplicate values so you get the picture. The first step I take is sorting the data. My preference is to use the Data tab because it has this great group of functionality you can use at once. So sort the data and we are ready for step 2. The second step I take is adding an additional column which I call “Duplicate”. Now the third step I take is I add an IF statement (function) in cell A2. As you can see it skips the first new value and every value after that which has a duplicate value gets the word Duplicate in front of it. As you can see I enhanced the function a bit. 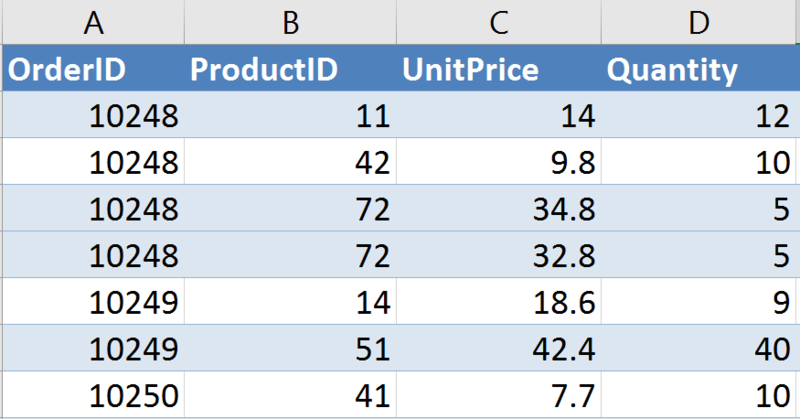 Using the & -sign I tied two values together to match the other two values that are tied. So basically I say look at the value of cell C2 and stitch the value of cell D2 to it. These combined values should be equal to the values of cell C1 & D1. If this is the same value then show “Duplicate” otherwise leave empty. Knowing what we know now we can easily look for a duplicate row. Just concatenate all the values from every column using the & -sign. Then compare that with all the concatenated values of all cells from the row above. Copy that formula down and you are good to go. This entry was posted in Excel, Office Tips and Tricks and tagged Concatenate values in Excel, duplicates, Find duplicates in Excel, Find duplicates in Microsoft Excel, IF function for finding duplicates, Remove Duplicates, values on August 8, 2015 by Maurice.